Otis eating at twelve months. A day in photos. Breakfast cereal in a bowl with a spoon. Otis eats around three-four mouthfuls before he starts putting his hands in the bowl. I feed him a little then remove the bowl and give him his plate. He eats the rest of his breakfast with his hands. We take Caspar to school and come home to tidy the kitchen. Otis eats snacks from his snack draw. He's eating the green Organic Puffs from Happy Baby. We are out of bananas so no banana snack today. For morning tea Otis eats some hot cross bun at his snack table. I have ordered a new chair for here. For the time being we use his Me-Do-It Chair that is kept in his room. Later Otis has his first breastfeed of the day. We pick Caspar up from school. Caspar is always ravenous and eats lunch in the car on the way home. Otis eats luch at his snack table, he's having left over pasta and roast chicken. Often for lunch we eat at friends or have a picnic at home. Otis has another breastfeed in the afternoon. At dinner we encourage eating with utensils but we know hands are easier. He eats his vegetables with his hands and fish with his fork. Otis drinks water from his glass throughout the day. He has some yoghurt later in the night with his Dad (most likely sitting on Dad's knee) and a breastfeed before bed. I feel that pictures show what words cannot. I hope you have found this useful. Oh, please check back tomorrow. I am featuring a new Australian Montessori Family. I cannot wait to show you their home. Honestly it the most fabulous home and I have had the privilege to visit in person. You are going to love it! If you are interested in our approach all of my posts on weaning can be found here. 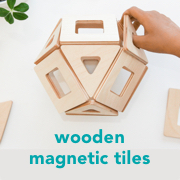 In Australia it can be really difficult to find Montessori materials. Most of the questions I recieve are about where we source our materials and for weaining it's no different. I have paraphrased here to cover multiple questions about the same topic. Where did you get the weaning table and chair? Our weaning table and chair (as pictured above) were thoroughly researched and carefully chosen. As Otis used this from six months size and comfort was really important. The table is a soild wood child's table that I cut the legs down. The chair is a Me-Do-It Chair which I purchased from Wonderland Rehab & Child Care Products. I could not find an online supplier and needed to call to obtain a quotation and proceed from there. Please note this weaning table is now in his room and he is using the Cube Chair in the kitchen. What other equipment did you use and where did you source it from? I purchased not one but two weaning sets from At Home with Montessori. There are all sorts of spoons available in stores but I cannot recommend highly enough using a very small spoon for a young child. Otis started eating solids at six months and the first spoon from this set was the right size. Have a look around, a teaspoon is too large. Of course you know Montessori would recommend using real utensils not plastic. In the picture below Caspar (four years) uses the first size glass, perfect for little hands. The other two glasses are examples of glasses that Otis uses. Caspar's glasses were found at a thrift shop. The middle glass is an espresso glass from Wheel and Barrow and the last glass is from At Home with Montessori. At the beginning we also used shot glasses from Wheel and Barrow. I made the placemats, napkins and bibs myself. How do you introduce and encourage the use of utensils? Firstly by role modelling. Montessori said it and I confirm it. Before your child is introduced to solids ensure they are around you and siblings using utensils. They will observe exactly what is going on. Caspar has been the best role model, even now he will sit next to Otis and Otis will observe him closely. When I first introduced solids to Otis I used puree served with a spoon. I also gave him a spoon in his hand. As I would feed him he would start to scoop the food, sometimes splash it and eventually it made it's way into his mouth. It's only now at around twelve months that he mainly feeds himself with the spoon until this point I was mostly feeding him. Introducing a fork and knife came really naturally. When eating foods that require a fork and knife I would set these at the table. I would cut Otis's food (especially meat) into small bit sized pieces and he will pretend to cut (no doubt imitating us) and literally picked up the fork and began to use it. Initially Otis didn't have the coordination to get the food onto the fork. I would let him try for a while and then hold and guide his hand to pick up the food. At this time he had the coordination to get the food to his mouth. Naturally over time he needed my help less and again now at twelve months he mostly feeds himself. We recognise that on many occasions it's easier for a child to feed themselves using their hands. Otis will do this becuase he gets more food in his mouth. We still provide utensils and will often say "Otis here is your fork" to encourage him to use it. With wet foods if he stops using the spoon and begins to use his hands, I will say "Otis here is your spoon" and sometimes even give him the spoon. If he continues to use his hands I will usually take the food away. I have found that at this age he usually starts playing with his food when he has had enough. Does he throw food and his bowl and what do you do? Otis rarely throws food but does drop it and his utensils on the floor. This is a sign that he has finished his meal. First he drops his knife and we leave it on the floor. If he drops a utensil he is using we will pick it up once or twice. If he drops a couple pieces of food we let it go. If he continues dropping food we get him down from his highchair and consider the meal over. Since this post we haven't broken a glass. Otis never threw a glass or intentionally broke one. But with a young child breakages will happen and overall I think we have broken two glasses and no plates or bowls. When Otis started eating independently I would sit close and sometimes hold the bowl in place. I only needed to do this for a short time. I don't leave Otis at the table for long periods of time because I know once he gets bored and has finished he starts to drop things and I'm sure he would drop or throw his glass, bowl and probably placemat too. We don't leave Otis at the table unattended. However for snacks when Otis is accessing the table himself, we do leave him unattended (I am still in the room just not sitting next to him). When he is eating snacks we will sometimes give him a real plate and fork and sometimes will put his snack in a wooden bowl. What about BLW (Baby Led Weaning)? I used BLW 100% with my first son Caspar. Having seen the different approaches I favour the Montessori approach. Babies are eating solids sooner (but still breastfeeding) and for us at least eating is much more civilised. You can see the table where I compare the two approaches here. I honestly feel the approaches are compatible and there is something to learn from both. For BLW I found Baby-led Weaning: Helping Your Baby to Love Good Food a great book. Information on the Montessori approach is a little more difficult to source. If you know anyone who has completed the Assistants to Infancy Training they will be your best guide. Understanding the Human Being was the best book I found and I really loved the section on weaning, the description of using the table and chair and making it a special event. Please note that we did not introduce juice as a first food as suggested by this book, we started with puree at six months. "Now we have in front of us the most important guest we can have at our table, the human being we conceived and are helping to progress in human relationships and towards independence.". Ok, I've said it before - I love this book. How I weaned myself is a good read from Michael Olaf. Once again I'm not advocating for juice at three months. At Home with Montessori has a good article too. What about weaning from the breast, what is the Montessori approach? 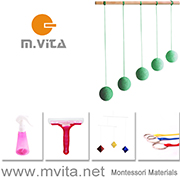 Montessori and Montanaro suggest to completely wean from the breast at 8-9 months. Oh, so much debate on this. Many people suggest if Montessori knew the nutritional benefits of breast milk and had the information we have now, she wouldn't suggest weaning so young. On this I follow my heart and my intincts first. I breastfed Caspar well through his second year and will probably do the same with Otis. I feel weaning from the breast should be a natural process, as the child eats more solids they have less breastmilk. We will take our time. Eek. What a lot of information. The purpose of this site, this blog is to share experiences. Please feel free to ask questions, especially if I need to clarfiy something or if I haven't covered your question. Also please feel free to provide suggestions or information sources of your own. A quick update on the placemat. Otis has been using the placemat more often and I thought to make it more stable/less likely to move I would put some shelf liner underneath it. It works a treat. I could sew it to the placemat but haven't yet. If you would like to see a weaning set from the Montessori Assistants to Infancy Training April from Goosedesigns has a great example here. You may remember my previous post Where's the T.V? I am not supportive of television or screen time at all for children but struggle with the practicalities. I reached out and asked a friend how she manages screen time in her home and how she does it. Charlotte is Montessori trained, a mother of four and passionate about this topic. Charlotte answers my first question here. 1. Can you explain your position on screen time and why you feel it is such a negative? My feelings towards screens, that is, televisions, computers and handheld devices and the role they play in children’s lives began when my eldest son, J, now almost seven, was in his infancy in 2005. When he was a baby it would be on in the background if we were watching something and when he was a toddler we would put it on for him. The changes in his behaviour were immediate. Usually being an energetic and curious young boy he would be unable to pull his gaze away from the screen, sitting in a trance like state, unmoving. Afterwards when it was switched off he would throw huge tantrums that were difficult to calm. My husband and I questioned the need for the television at all, and when one evening we accidentally came across an article about psychologists advising against television for the under 3’s our suspicions were confirmed and we drastically reduced what and how much he watched. I wasn’t alone in my approach and knew of other parents at the time who described unwanted behaviour from their children after watching television and reduced their children’s screen time accordingly. My husband and I did research into the matter, and around 2007, by the time my second child, A, was born we had discovered a huge amount of evidence to suggest that screen time for young children was negative rather than beneficial. In fact, what my husband and I found alarmed us and changed my attitude towards screens forever. I would like to point out that at this time in my life I knew nothing about the Montessori Method. The importance of what happens in the first three years of a child’s life is backed up by authors such as Sue Palmer who writes in her book Toxic Childhood that “massive numbers of neural connections are made in a child’s brain in the first three years of life – especially those associated with (development) of concentration, planning, self-control and empathy..” similar evidence can be gleaned from authors such as Lise Eliot in her excellent book “What’s going on in there?” a book about baby’s brain development. These examples are really just scratching the tip of a very big iceberg and the more we looked the more we found. You see, screens, including computer screens and hand held technology such as phones and other communications devices, have a direct impact on children’s concentration as the screen flickers constantly. This flickering forces the brain, adult’s as well as children’s, to slip into the alpha state of brain waves, a state that makes people particularly receptive to what they see. This is very worrying as in this state unwanted ideas and images can lodge themselves into a child’s mind on an unconscious level which means we the adults don’t know how this affects the child’s mind for years to come and also the child is unaware of it as well. Not only that, but many psychologists write about the damage that the constant, quick succession of images on the screens has on children’s brain development also. On a lot of television, especially terrestrial daytime broadcasts, you get ‘montage telly’, where the programmes are edited to cut rapidly from shot to shot. Music videos and movie trailers are especially guilty of this because they try to pack a lot of information into a short space of time. This is not healthy for children as the “rapid shift of images conditions the developing brain to expect a higher level of stimulation than that available in real life.” (Sue Palmer) This becomes addictive and could be why children feel lethargic, tired and angry when it comes to switching the screen entertainment off. Parents would do well to question what and who is influencing their children’s behaviour via this kind of technology. I began to keep my children (only A and J at the time) away from most terrestrial television especially advertisements, only putting on children’s programmes supposed to be tailor made for them and to assist their learning, supporting language development. However, I quickly realised that this is total nonsense. I stopped believing the promotions of these children’s programmes and channels as having educational value; suggesting that the child, by watching these programmes, has eye to eye contact with people on the screen, and that viewing also encourages parent child interaction as they can talk about and discuss what they can see. Rubbish. How can this really replace real life experiences? Any parent would be far better off taking his/her child for a walk in a park with real people and engaging in proper eye to eye contact, talking together about what they see in the world around them. When my son, J, was 3 and my daughter, A, was 1, I came across a local Montessori nursery that was so different to the other nurseries I had come across. It was a wholesome, ordered environment with real, child sized objects and activities for him to do with his hands, that would assist him with his physical and mental development and….there were no screens present. No computers. When I questioned one of the teachers why there weren’t any to be seen her answer was that it was not beneficial for the small children. This intrigued me and that along with other positive benefits I could clearly see from this Montessori environment led me to train to be a Montessori teacher in 2009. Through my studies of Maria Montessori’s texts and learning about child developmentalists and their works, such as Piaget, I learnt that children learn by physically interacting with their environment, not by sitting just watching the world go by. As Montessori states in her book, “The Absorbent Mind” what the child, from birth, takes in from their immediate environment becomes their inner life and forms the building blocks of the personality that defines them ever afterwards. This means that what young children need is concrete experiences, real life conversations, and real objects to touch with their hands and lots of opportunities to be outside interacting with the natural world. The television is an abstract reality, it is not really there. A picture on a screen of a shell will not provide a child with any information other than its visual aspect. A real shell in a child’s hand means that the child can experience it on many levels; he/she can touch, smell and listen to a shell that is actually there. As well as this, a child under 3-4 years has no idea that the screen is not real. However, it will become the child’s reality if he/she is over exposed. This is very much the case with computer screens and games as well, which our children have never been exposed to at all, as my husband and I believe they take away children’s ability to imagine as what they are doing is wasting time within the confines of someone else’s ideas of what is on a screen. During my training in the 3-6 Montessori curriculum in 2009, I became pregnant with my third child, F, my youngest son. During this time I became very interested in the 0-3 curriculum and found further evidence to prove to me that screen time and young children shouldn’t mix. I read Paula Polk Lillard’s book, “Montessori from the Start” where she states that babies have a sensitive period for concentration, that if they are not allowed to have quiet time to concentrate, then that time will be lost and the child will have missed out on a vital developmental step. I also came across Dr Silvana Montanaro, who wrote “television is an anti-experience, because it separates individuals from themselves and from the environment and makes them believe they are living while they are only observing passively what other people decide to make them see.” I also found out about Urie Brofenbremner, Professor of Human Development at Cornell University who wrote that “the primary danger of the television screen lies.. in the behaviour it prevents..” Montessori frequently discusses the importance of children’s development through movement and screen time destroys this opportunity for children to do this. This lead me to the understanding that precious seconds of my children’s lives were ticking away. What else could they do doing with their time? When my third child, F, was born in 2010, I determined that from the beginning, things would be different for him. We had already drastically cut down on what and how much our eldest two children watched but we took further steps. F has never watched television or been exposed to screens, (although he is aware of their existence by their appearance in the outside world), and he will soon be celebrating his second birthday. When I got pregnant with my fourth child, S, born 2011, my husband and I decided to unplug the terrestrial television permanently and cancel the subscription to our tv license as we realised that no one, including ourselves, ever watched it anymore. Charlotte Stokes is a mother of four, a trained Montessori teacher and a psychology student. She also enjoys knitting and sewing toys and clothes and encouraging a love and understanding of nature in her children. Charlotte also writes at her blog Teeny tiny key. I have a lot to learn from Charlotte! I really appreciate hearing from someone who has the same ideals as myself. Charlotte answers the rest of my questions and offers some great advice in Part Two on Monday. First I want to say we don't share every project we do. We generally only share projects that are slightly interesting, that work or we really love. This meets all three. Most of all we loved it. Can you feel my excitement? This is one of my favourite projects ever. It's wonderful to have garden in your kitchen. This is clean and easy, no soil required. Children are able to learn through observation. I didn't look up or give Caspar any facts or figures. He watched. He observed. These are organic mixed salad sprouts. They grew in four days using this small Keimli. It could easily be used in the classroom. Healthy too! What baby products do you use? Aveeno Baby review. We use products very sparingly on Caspar and Otis. Typically we use Cetaphil to wash and thanks to Carly after the post about shampoo we have been using Mop Gentle Pear Shampoo in their hair. Actually we rarely use shampoo on Otis, a little wipe with water and a wash cloth and his hair is done. I have on many occasions purchased speciality and boutique products but have never found anything worth sticking with or that is affordable. Recently I was asked if I was interested in reviewing Aveeno Baby products. Curiosity got the better of me. In return for this review I have been supplied with one of each of the following products. Overall I was pleasantly surprised. I was surprised at the quality and with the exception of the wash and shampoo could be used so sparingly. Again with the exception of the wash and shampoo I loved how the products were fragrance free. Although I didn't pay for these products I love the affordability. The Soothing Relief Creamy Wash and Soothing Relief Moisture Cream are so thick and creamy they feel like a luxury. I'm now tempeted to try their women's range. In my mind you are never too young for a little political immersion. And learning about democracy is so important isn't it. We love visiting this place. It's so big and powerful. I think it's beautiful too. This large flag tower sits on the roof top. I can't imagine trying to describe this place to Caspar, it's wonderful he can experience it himself. He can see and feel it. The grandeur! It's Parliament House. Yes, the Parliament of Australia sits here. In the Senate. And in the House of Representatives. It's steeped in history and the view is spectacular. The white building is Old Parliment House. The red road is ANZAC Parade leading to the Australian War Memorial. Can you believe we are also surrounded by bushland. So much bushland. The Nation's Capital. We are privileged to live here. PS. If you come to visit let me know and I'll give you a list of all the must see attractions! What is your child crazy about right now? For Caspar it's numbers. Counting. Not counting high. Just counting. Sometimes counting backwards. Sometimes addition. Counting strawberries on his plate. People in the line. Adding cars as they come into the car park. I asked him last night "Would you like a bath or a shower?" giving him the choice as we try and do. He replied "Zero". Zero? Nothing! He didn't want either. So what do you do with a numbers crazed, counting four-year old on a lazy stay-at-home long weekend? Board games was the only thing to come to mind. Board games outside on a picnic rug to enjoy our mild weather. Trouble is his favourite but he won't say no to a game of Snakes and Ladders. While he received Dominos for his birthday (a great gift for a four-year old) he's new to playing it. Lots of counting fun. It's Good Friday here. We have guests. I love having family stay. The boys love it too. This morning Caspar and I coloured some eggs. Simply two holes top and bottom, I used a needle. Then blow like crazy. We used the food colouring method (one cup of warm water, one teaspoon of vinegar and a few drops of food colouring). Wherever you are I wish you a wonderful weekend. I hope you are among loved ones. I'll still be here and posting over the weekend. Take care. We know children will often repeat a task in order to master it. And sometimes it's so much more. Polishing the barn is easy for Caspar. However it gives him the opportunity to focus, concentrate, pay attention to detail and prepare the barn for his younger brother. Purposeful activity! Oh, it smells good. If you're interested this is the polish we use. Did you see Sara's post at Feeding the Soil of Henry helping in the kitchen? I loved it so much I recently tried something similar with Otis. He wasn't really interested though. He just kept on sitting down. Sara got me thinking. How young is too young to help in the kitchen? Well of course age is no limit. It's more important to think about the skills and interests of your child. I know Otis loves bananas and peeling a piece is nice and simple. A perfect fit for Otis. He did at first try to eat the banana without peeling it. I peeled the first piece and he got it from there. I've made a small cut through the peel so it's easy. Wow, did he just prepare his own snack? Seriously, he's peeling his own banana! I love Montessori. Thanks for the inspiration Sara. How many school hours for a four-year old? It recently came to my attention that some Montessori schools including in Australia have four-year old children at school for five full days a week. Caspar is four but only attends school for three hours a day, five days a week. This is the norm for his school when students don't attend full days of school until they turn five (or close). Until now. His school has decided to trial early extended day whereby children are invited (it's not compulsory) to attend two full days a week, in addition to the other three half days, two terms before they turn five. We had to make a decision. Did we want to participate in the trial and increase Caspar's school hours? As parents it's difficult not to feel torn. One side of me doesn't want him to grow up too fast and wants him to stay at home for as long as possible. The other side of me wants to increase his independence and his participation in the wider community. In the end we decided to go along with the trial and from next term (only weeks away!) increase his school hours. Caspar is actually excited and can't wait! I am interested to know, as I've only heard from those supportive of the increased hours, what is typical in a Montessori school for four-year old children? Are most four-year old children attending five full days of school? I'd love to hear your perspective or that of your school. As I take many photos and love experimenting with my camera I have decided to share a photo of the day. See the Pages on the top left side bar. Often I have a photo to share with no or very little words. Sometimes a quirky shot, sometimes a project in progress. I'll try to keep them Montessori related but I'm sure there will be many personal/family/child related photos in there too. I say photo of the day and we'll see how it goes. There are some days I don't use the camera or make it to the computer but I'm sure you'll understand. I think it will be fun! When I think about it I realise we have raised our children differently. When Caspar was little he never left my side. Every day, every moment, together. As Otis has been raised more of the Montessori way we have spent time apart from the start. You may remember that Otis was only a couple of weeks old when I would leave him alone in his room with his mobiles. It started as five to ten minutes. And we continued to leave Otis in his room alone as he progressed from his mobiles to playing with his toys and now crawling around. Now he will spend up to an hour in his room alone, most commonly around thirty minutes once or sometimes twice a day. A couple of things to note. Otis will only spend time alone in his room if Caspar is out. If Caspar is home Otis wants to be with or near him. We have attempted to make Otis's room as child proof as possible. We don't have a gate on his door and we don't close his door, it remains open. This is so he can hear me, he knows where I am and so he can come out and be with me if he chooses. When Otis is in his room alone I close the doors of all the other rooms in the house except the room I am in, usually the kitchen. Our house isn't very big (and it's all one level) and the kitchen is adjacent to his room. So if he comes looking I am easily found. Also I supervise him, I regularly check on him and I am always within earshot. We also try our absolute hardest to ensure Otis has safe, developmentally appropriate toys and materials in his room. Rotating toys and materials is definitely part of the process of keeping things interesting for him. The benefits? I get some cooking/cleaning/preparation done. It allows him freedom, he can do as he wishes, he can play alone or he can come and see me. I think it may also improve his concentration, he learns to entertain himself and he learns to be alone. Usually he plays with his toys, sings to himself, climbs all over his bed and generally creates a mess. And guess who turned one today? Oh gosh, I finally did it. The Montessori Placemat. Oh gosh, I finally did it. The Montessori Placemat. I have been so behind with everything in our lives that I almost purchased one from etsy. I promise this took about half an hour and some scrap fabric. I used some left over linen from the puzzle ball and left over binding from Caspar's robe. It's too late for Caspar he's already familiar with table settings so I made this on the smaller side for Otis. Perhaps I should have stitched it by hand but if that were the case I would have never got it done. I stitched it all by machine and besides the little start/stop stitches I think it looks ok. It will certainly do the job. I know you can buy extra nice ones and follow patterns. This is one for those short on time wanting simplicity. I'll be answering our most frequently asked questions about weaning next week. Weaning meaning the introduction of solids, I won't really be covering questions about weaning from the breast. Unless of course you have any burning questions. Let me know. PS - Yes, we actually set this for Otis. He's a superstar at using a fork, not so good with a spoon. I'll give more detail and try to get some photos or video for next week.